This is the final post in a three-part series spotlighting Regulatory Insight database features. 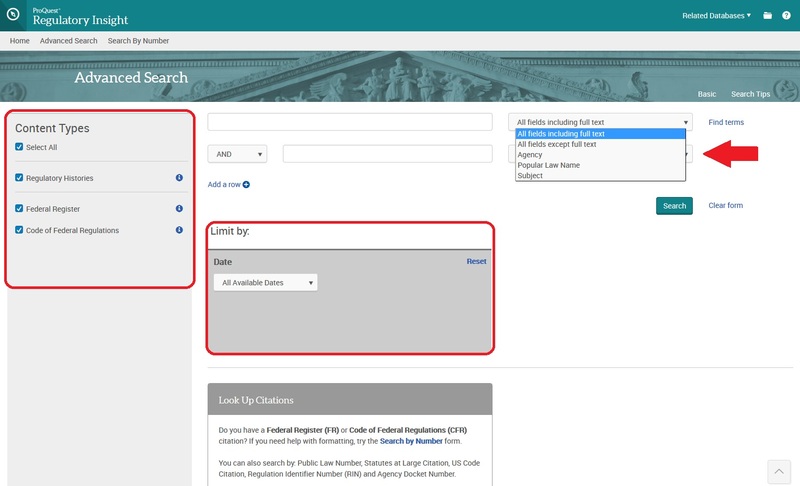 Aside from the basic search bar available on the home page, there are two other ways to conduct a search: (1) Advanced Search form and (2) Search by Number form. 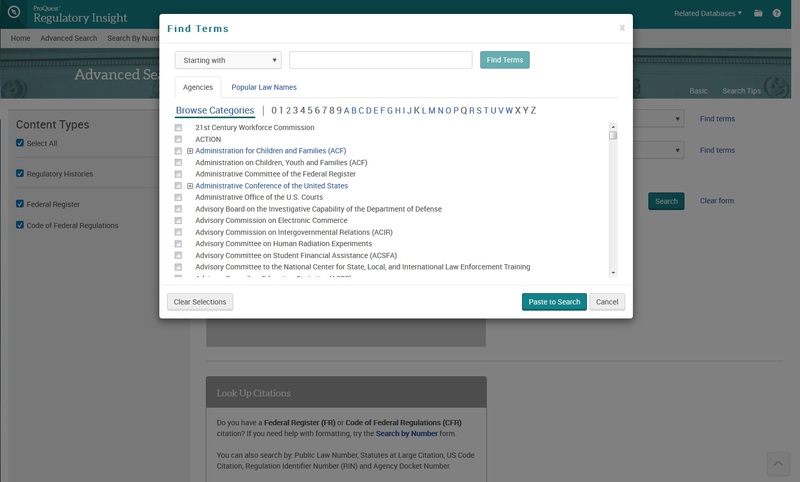 When using the Agency or Popular Law Name fields, the Find Terms link to the right of the search box contains helpful categories for each field (shown below). 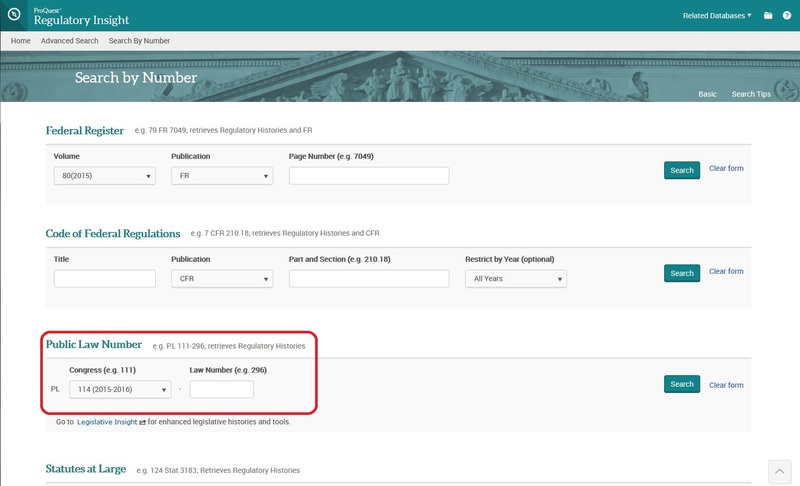 When there is a known citation for a Federal Register document, a Regulation, a Public Law, a Statute at Large citation, a federal statute or U.S. Code citation, an Agency Docket Number or a Regulatory Information Number, you use the Search by Number form. 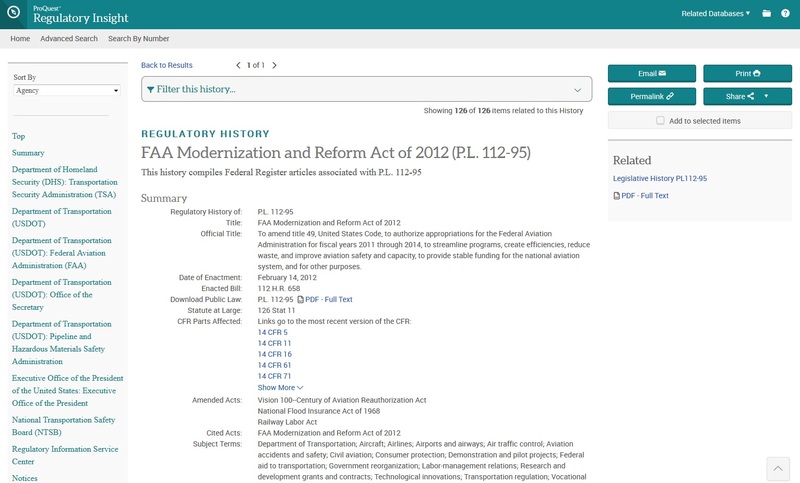 For this demonstration, we’re searching the FAA Modernization and Reform Act of 2012, which has a public law number of P.L. 112-95. The search result (shown below) yields of a compilation of Federal Register articles associated with the public law number. 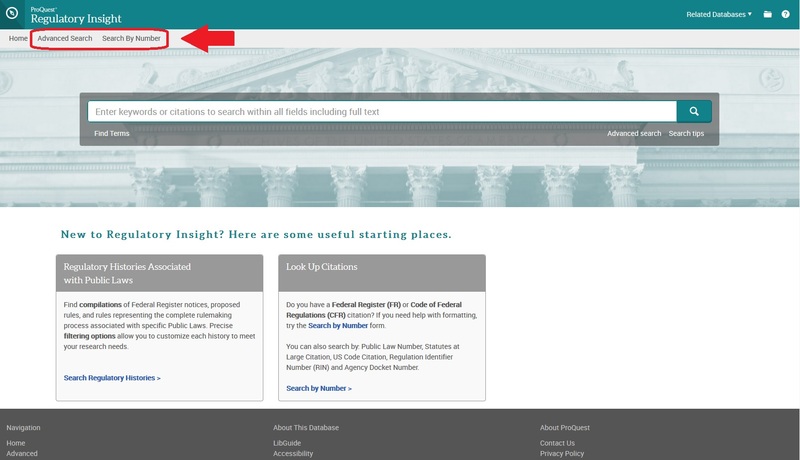 Access to ProQuest’s Regulatory Insight database is available through the Texas Tech Law Library website under the Electronic Databases tab.